We have a meticulously planned recruitment process to ensure the selection of the choicest software talents. Our smooth on-boarding method and enriching grooming sessions help us in maintaining high retention rates. We induct the new resources into our progressive work culture that is rooted in self-organization. We believe in the philosophy of helping everyone evolve as leaders without any hindrances. Our recruiters focus on the technical ability of the candidates along with their attitude towards a collaborative work environ. The hassle-free recruitment and on-boarding process helps new recruits to make a mark at Bridge Global. 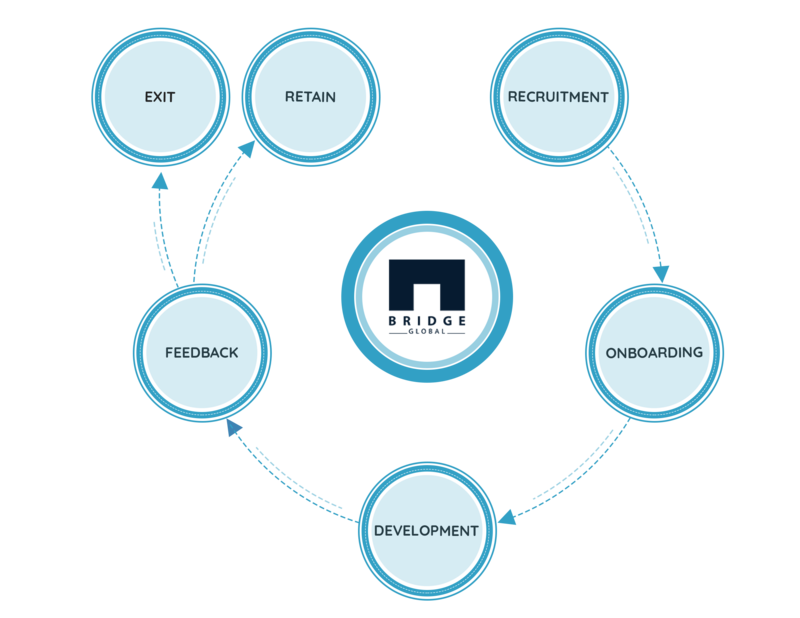 Have a look at our recruitment methods, on-boarding rules and retention policies here.